If you are in need of pediatric urgent care in the Galveston, Texas, area, stop by Affinity Urgent Care. We know just how easily kids can fall ill or become injured, but receiving the necessary medical treatment for these situations doesn’t always come just as easily. At Affinity Urgent Care, we strive to make your visit as convenient and stress-free as possible, especially during those times when your little one is sick or hurt. We offer same-day service with no appointment necessary and are open seven days a week, so getting your child the medical attention he or she needs is as easy as walking through the doors of our facility. 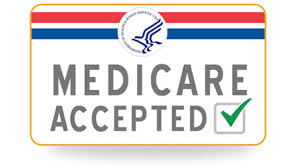 And, because we truly want to make your visit as easy as possible, we accept all major credit cards as well as most major insurances (including TRICARE and Medicare) and offer one of the most reasonable self-pay rates in the area. This ensures that whether you are paying out-of-pocket or through your insurance, you won’t have to worry about paying an arm and a leg for quick and professional pediatric urgent care. When your family is in need of convenient pediatric urgent care, be sure to visit Affinity Urgent Care in Galveston, TX. In the event of a life-threatening emergency, please call 911 or go to the ER nearest to you.